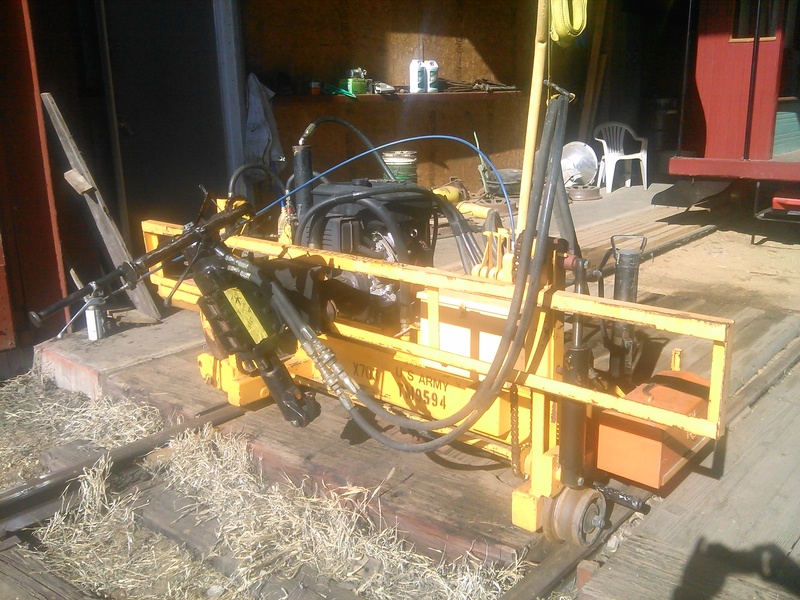 03/13/15 A3 rail car setup for spring weed spraying by Gary Johnson. 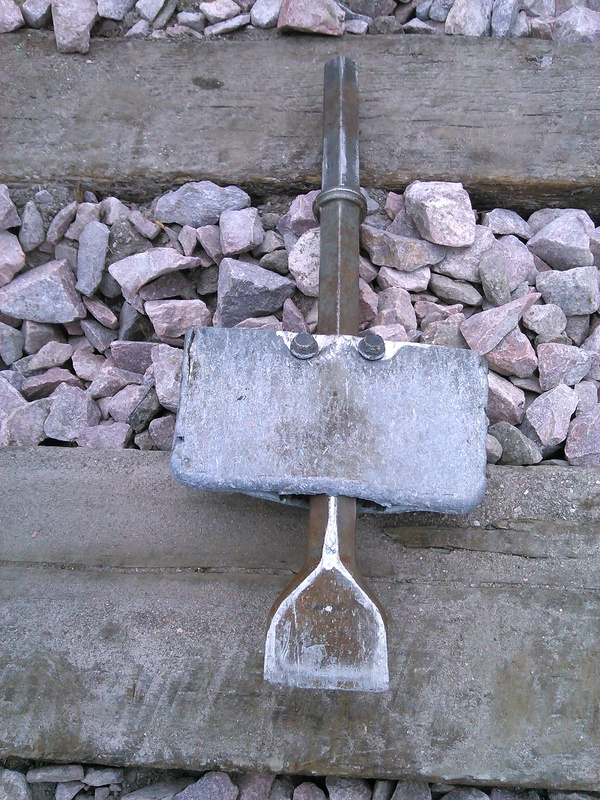 03/17/15 Fairmont Tamper / Spike Driver ready for the year. 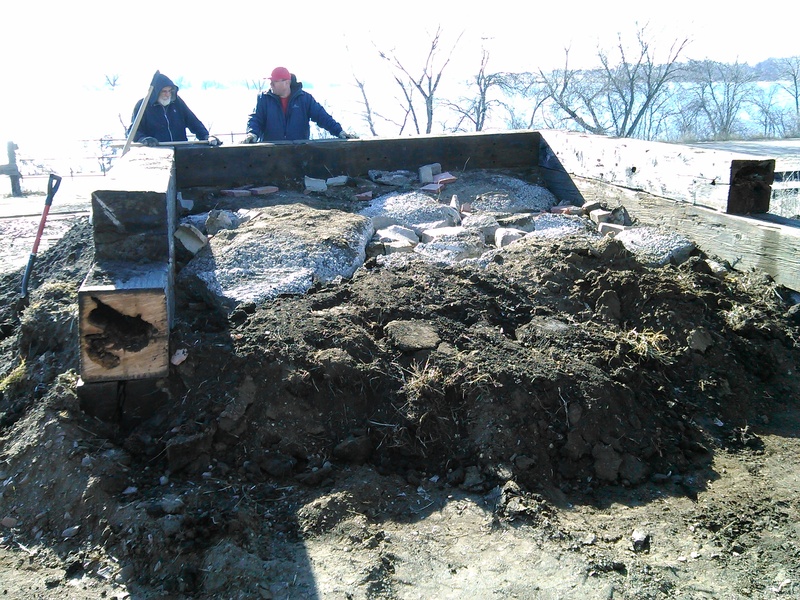 03/28/15 Mark Baker running skid steer up the coal ramp to check bucket height. 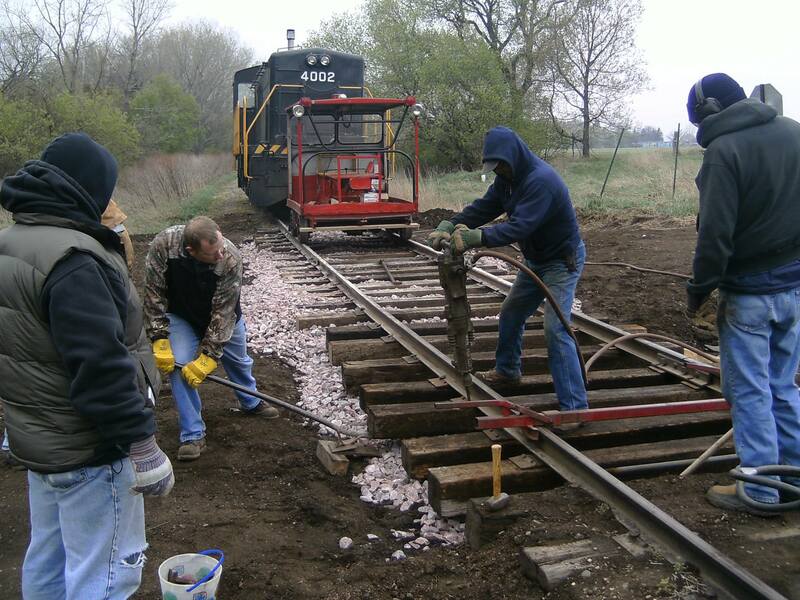 03/28/15 Bill Nolan and Mark Bakker part of crew working on new coal ramp. 04/15/15 Bob Gehringer digging out south crossing. 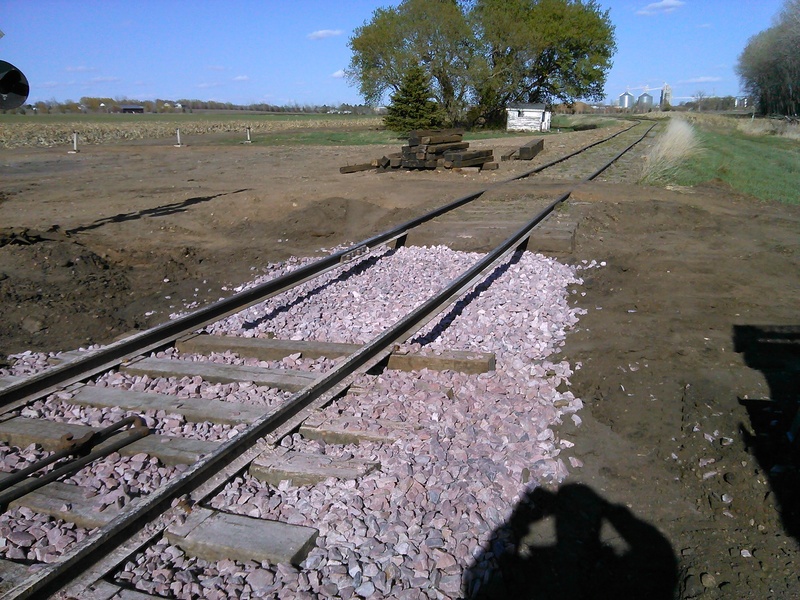 04/22/15 Rock in place for section east of south crossing. 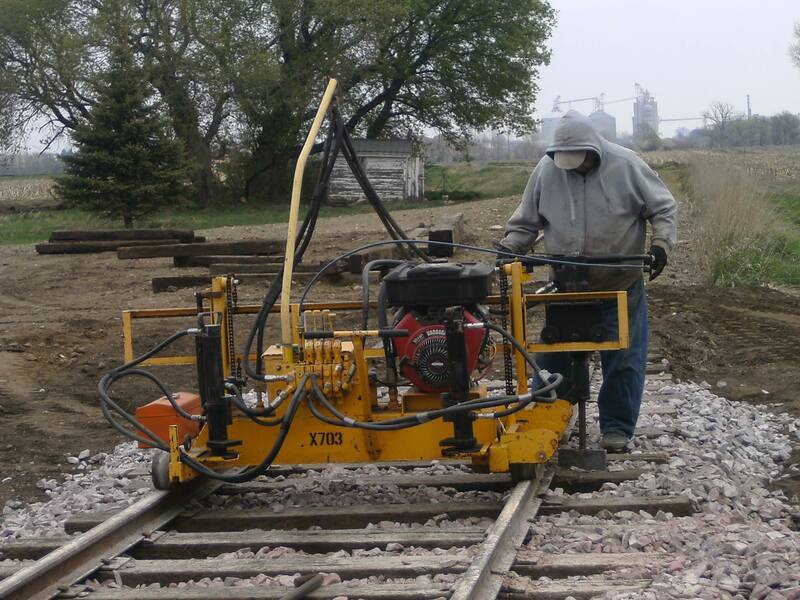 04/25/15 Tamping worked for 50-60 feet of track til tool broke. 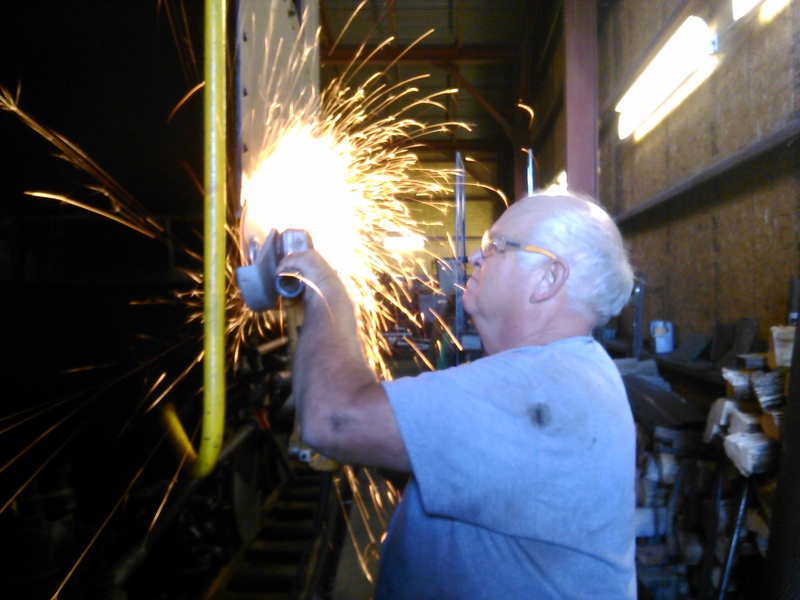 04/25/15 LeRay Swedeen driving spikes, 4002 providing compressed air. 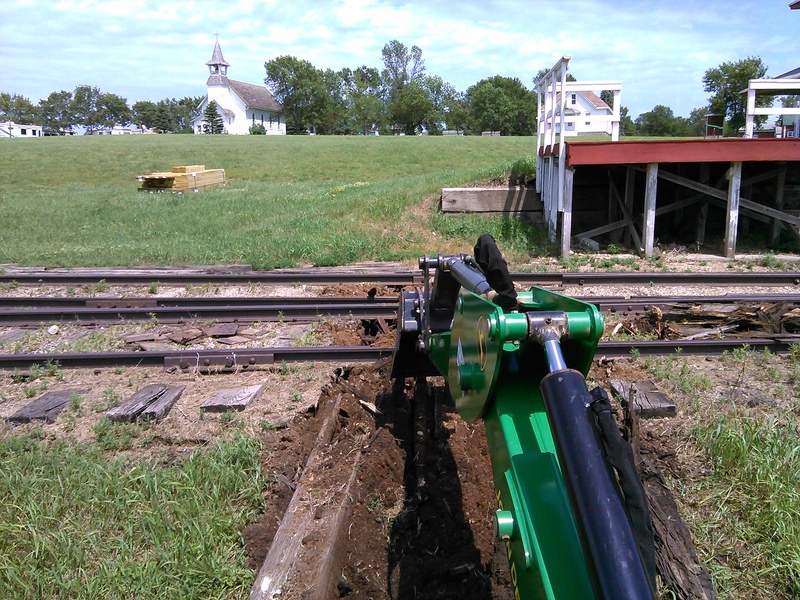 04/25/15 Bill Nolan setting spikes for jack hammer with spike attachment. 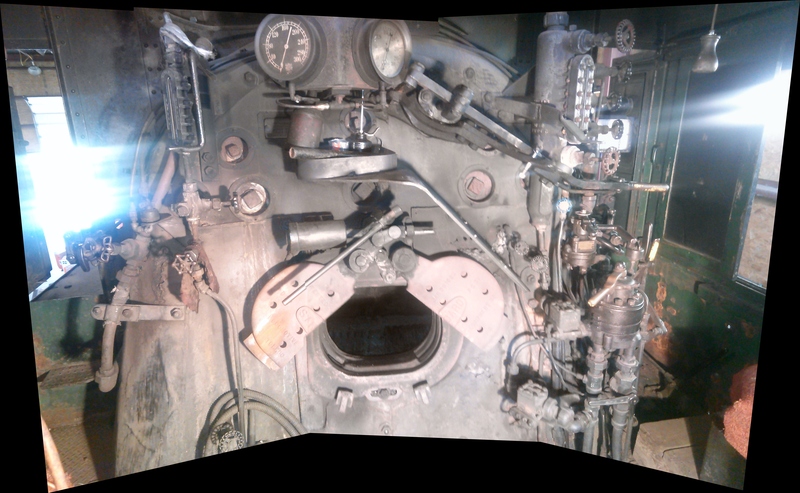 04/25/15 View of crew from locomotive 4002 front walkway. 04/25/15 Crew switching off on jobs. Was a cold day! Pat put on a hat! 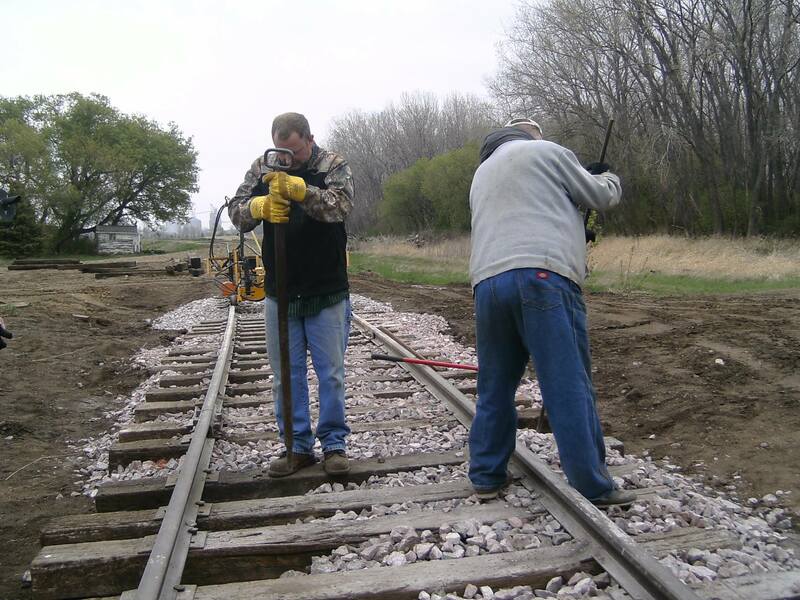 04/25/15 Bob tamping the ballast with the Fairmont Tamper. 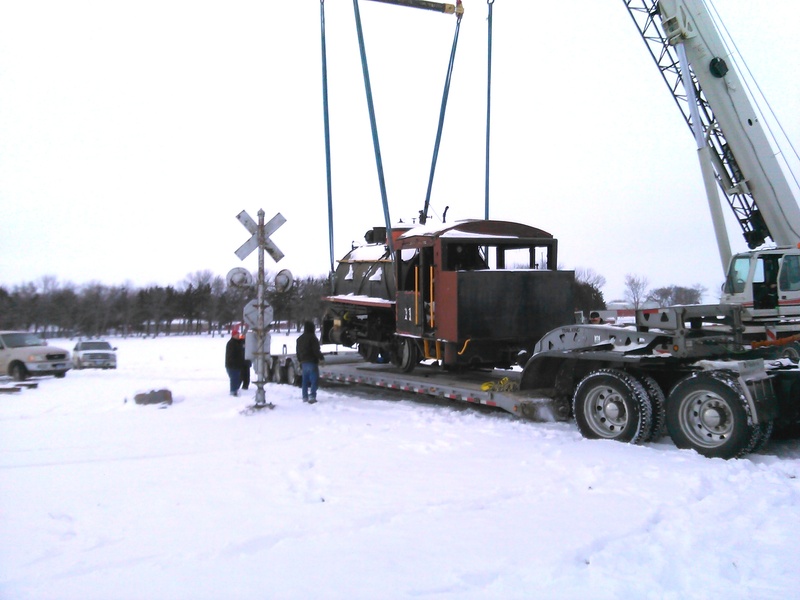 05/08/15 Tracy from the gift shop gets a ride on 1687. 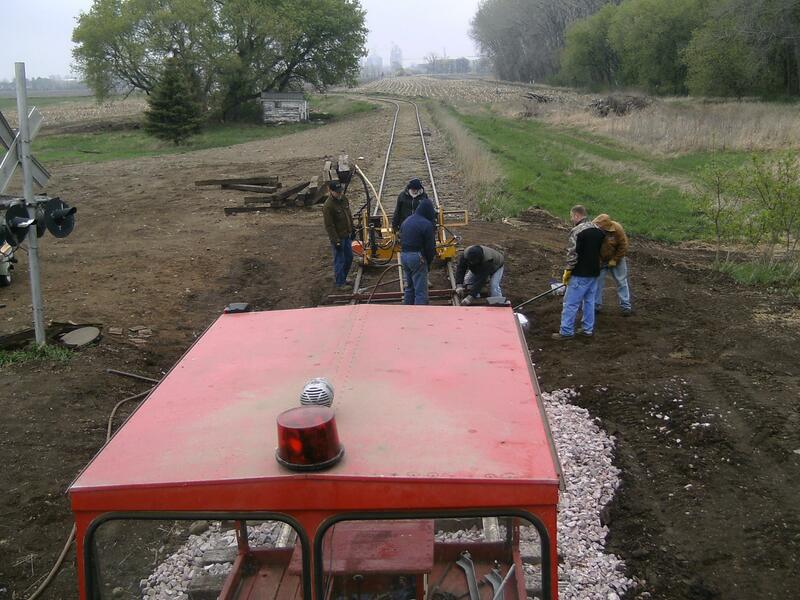 05/30/15 Bill Lutter up on #29 getting it ready for hydro. 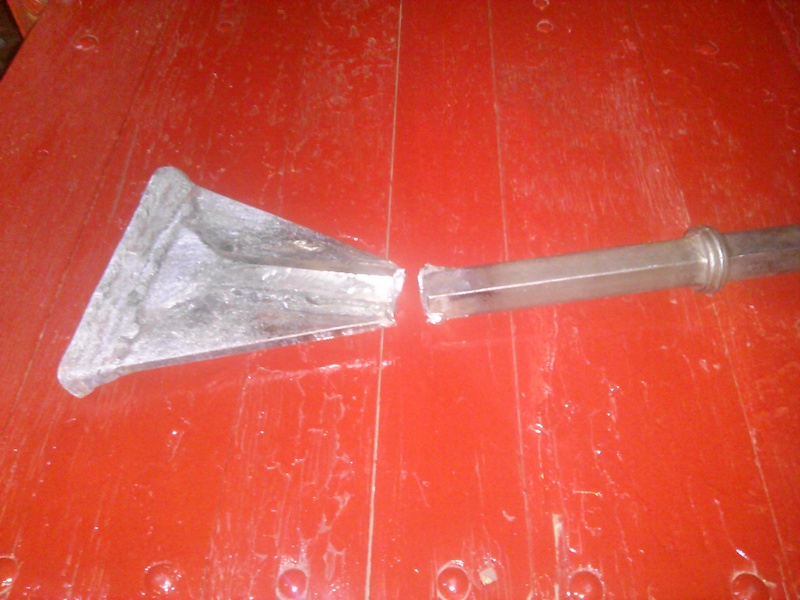 06/07/15 shaft broken on second try at tamping tool. 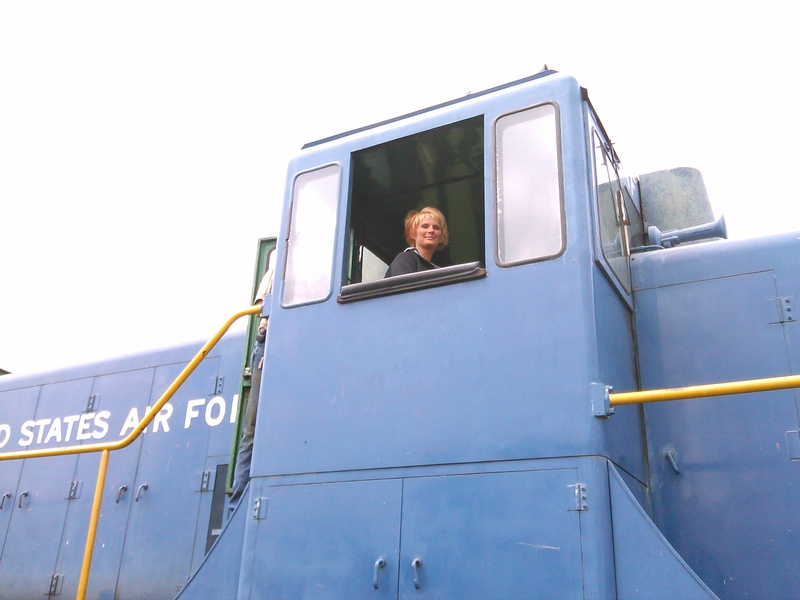 07/04/15 11:52 AM #29 coming into the Wentworth Depot Pat at the throttle. 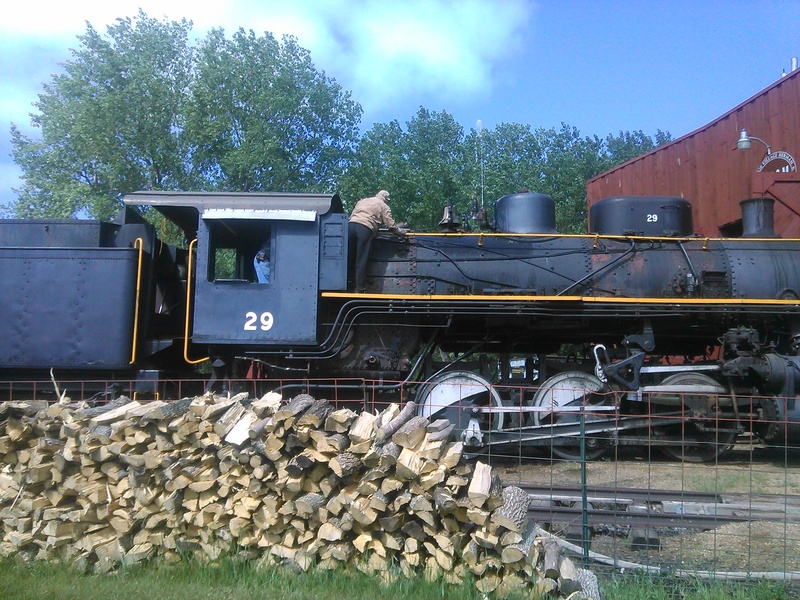 07/04/15 11:52 AM #29 parked at the Wentworth Depot. 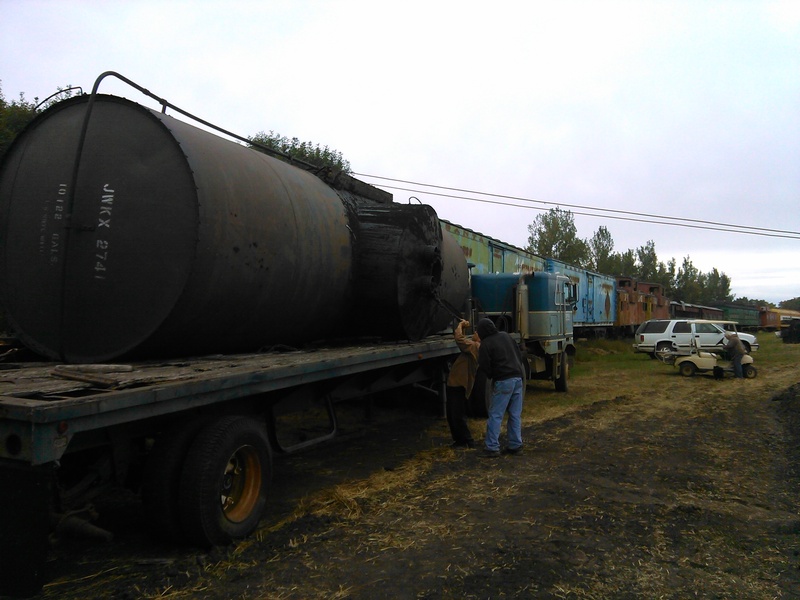 07/04/2015 10:40 AM Pat and Bill by #29 as it is being fired up. 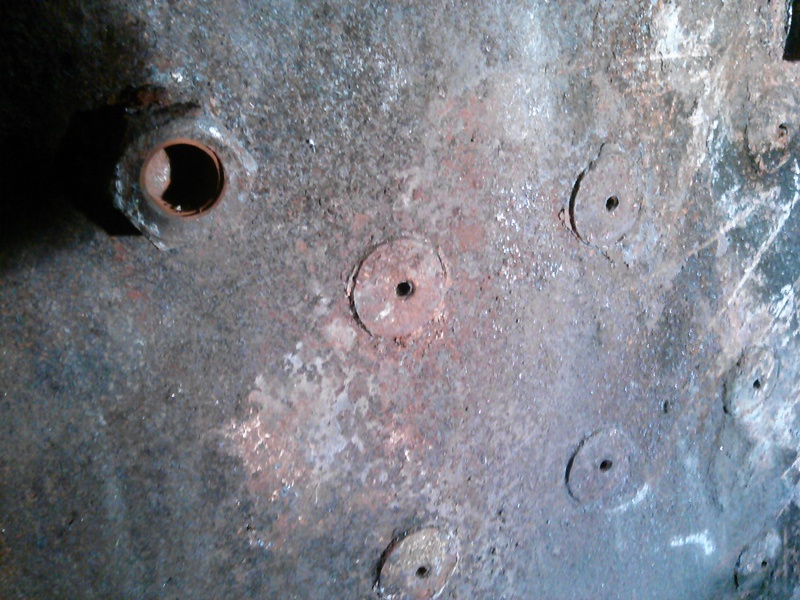 08/08/15 The ends of some of the threaded stay bolts that needed to be replaced. 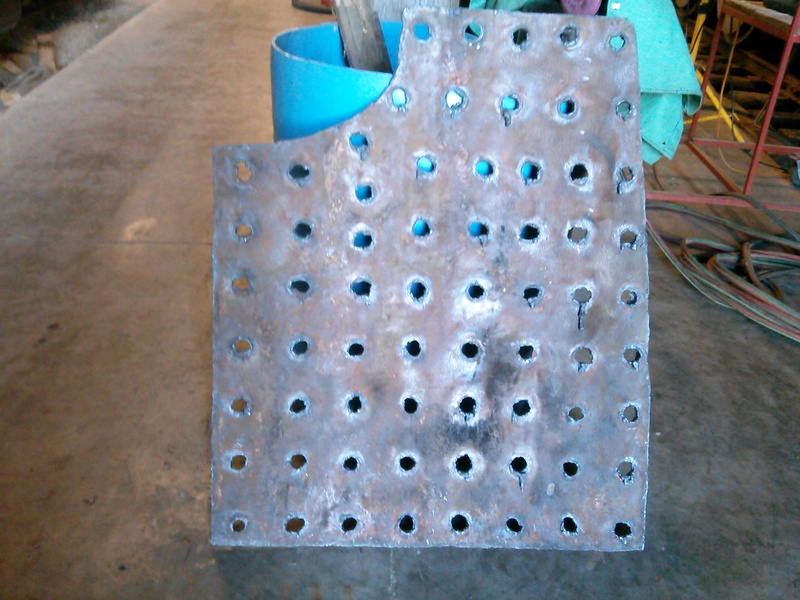 08/12/15 This is 1/2 of the firebox back plate that was cut out for replacement. 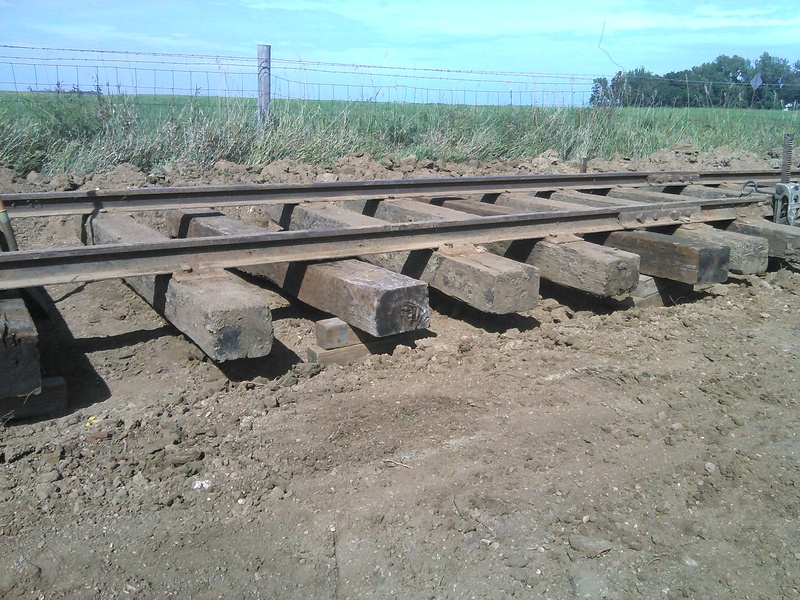 09/03/15 Section of north track jacked to level after ties loosened with skid steer. 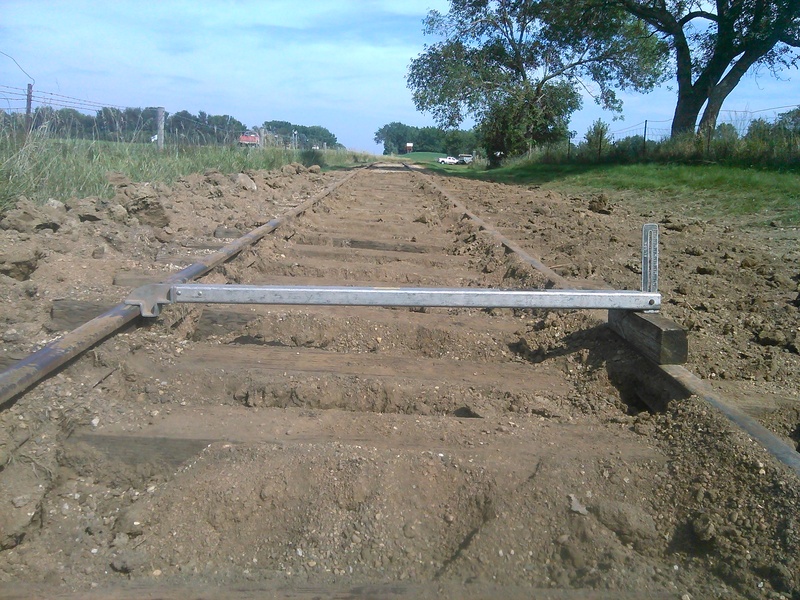 09/02/15 Checking section of north track that had settled on one side. 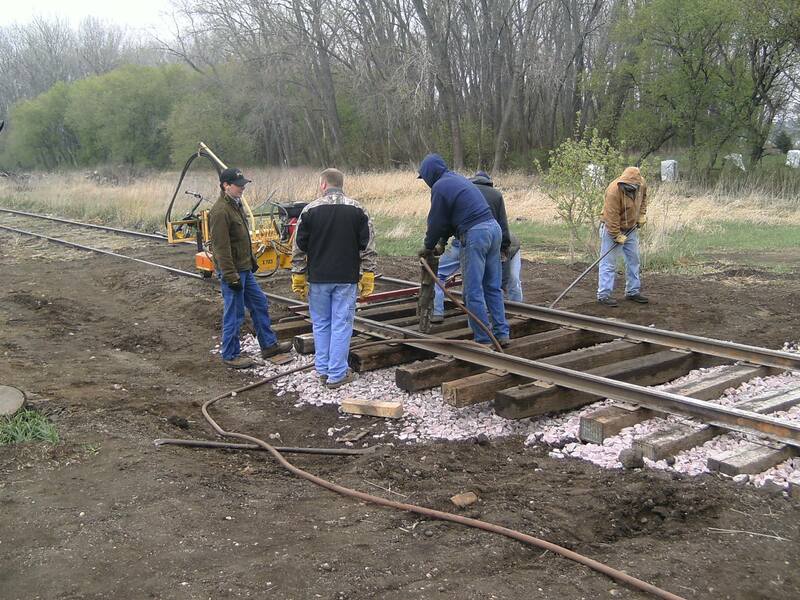 09/04/15 Section of north track after old gravel ballast removed ready for rock. 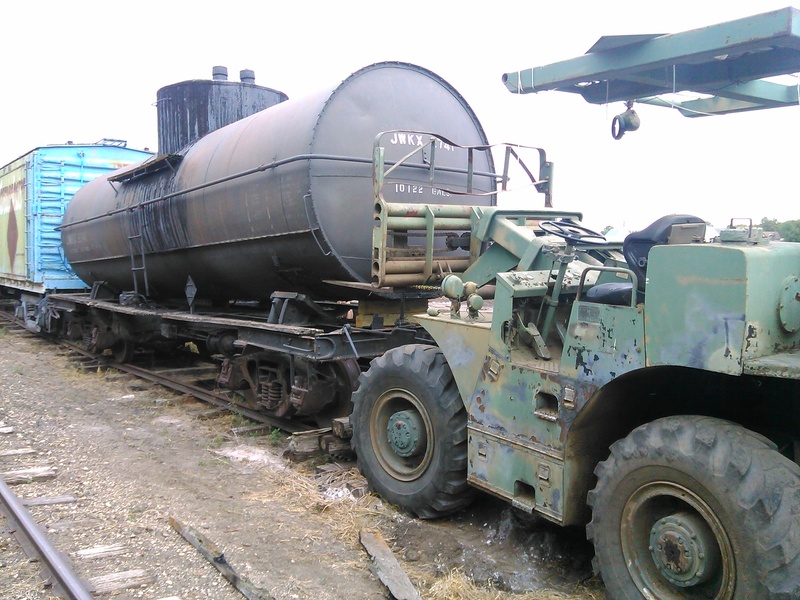 09/18/15 One end of tank lifted by large forklift to allow center nozzle cut off. 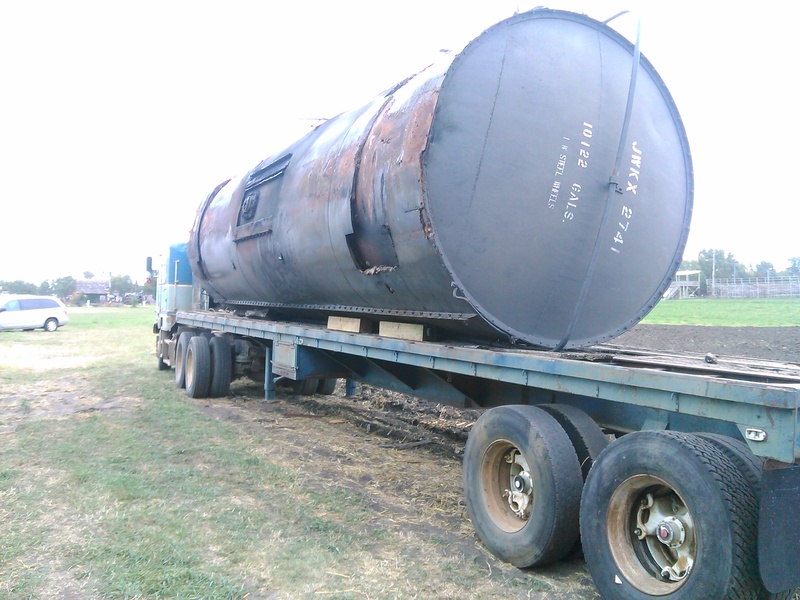 09/18/15 Tank is blocked up on truck ready to be chained down for transport to scrap. 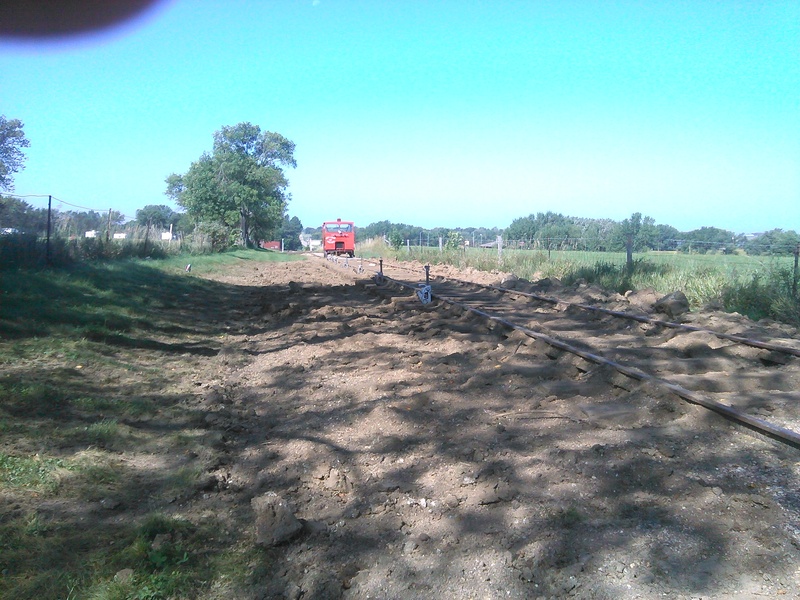 09/18/15 Tank is rolled over onto flatbed truck by pulling with cables. 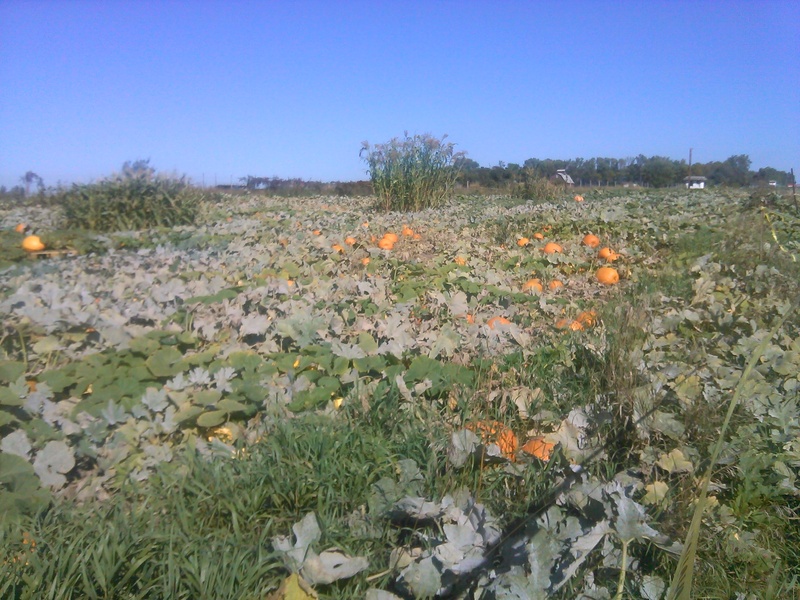 09/20/15 Checking on the pumpkins before the pumpkin train. 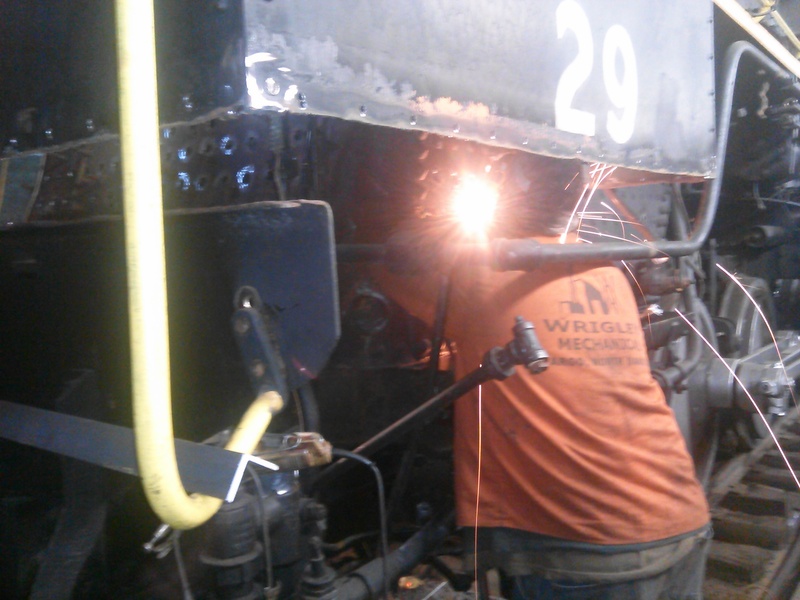 09/26/15 Harold grinding rivets off as part of cab floor replacement. 10/03/15 Kids in the Pumpkin Patch. 10/03/15 Parade before pumpkin train Marlin, Grohs family. 10/03/15 Family posing with pumpkins. 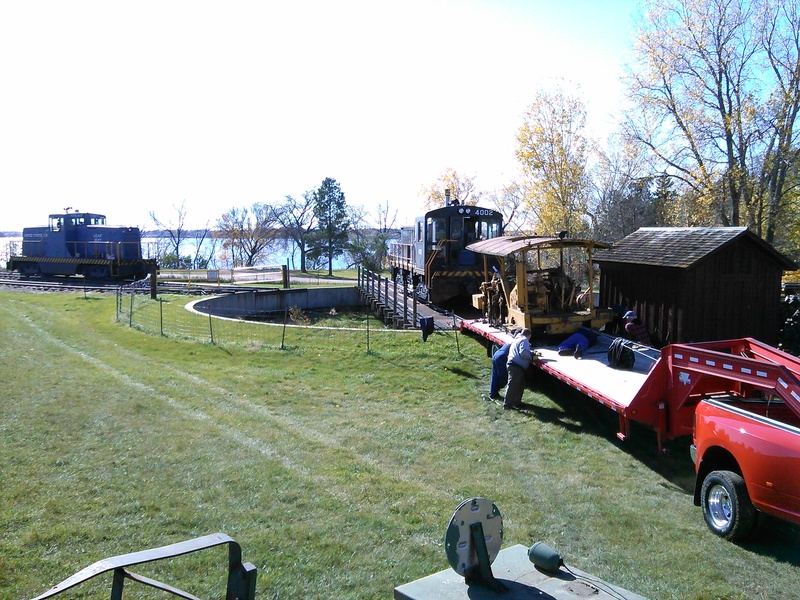 10/03/15 Part of the record crowd for the Pumpkin Train. 10/03/15 Little one with pumpkins in front of Case portable boiler at Pumpkin Patch. 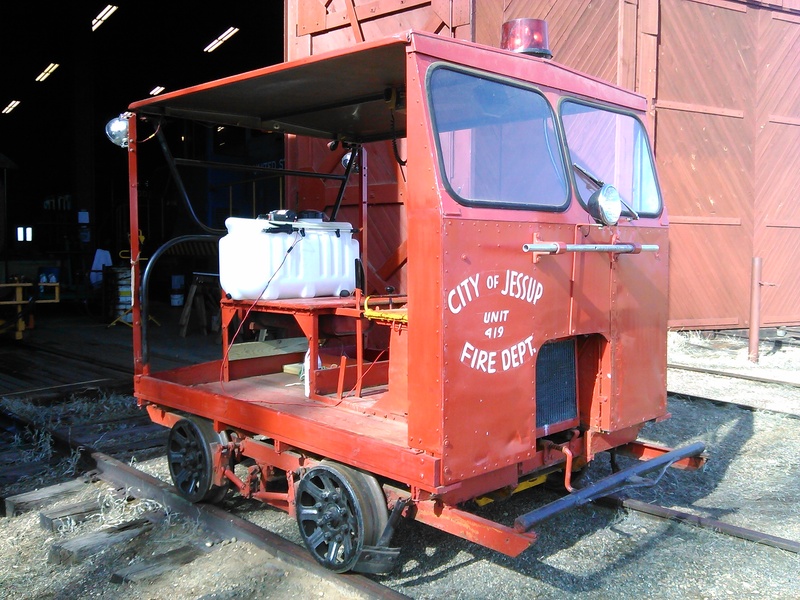 10/03/15 Two little kids by depot in front of railroad luggage carrier with pumpkins. 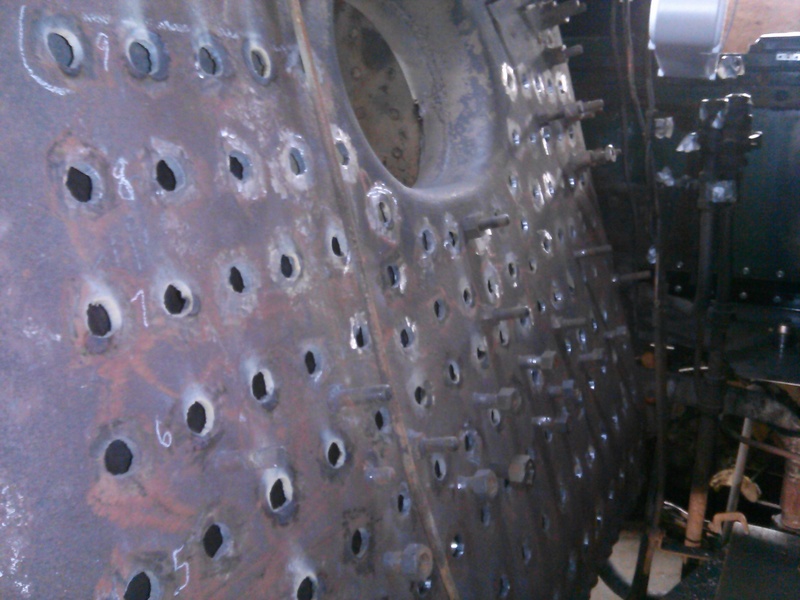 10/15/15 Back of boiler after preparation for new welded stay bolts. 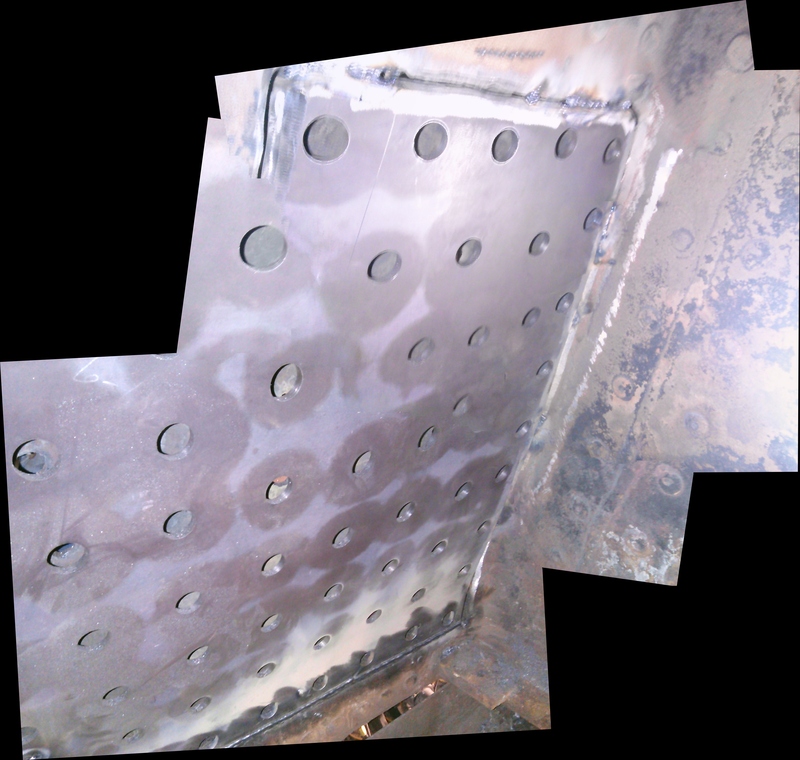 10/15/15 Stitch panorama of boiler back wall showing welding work in progress. 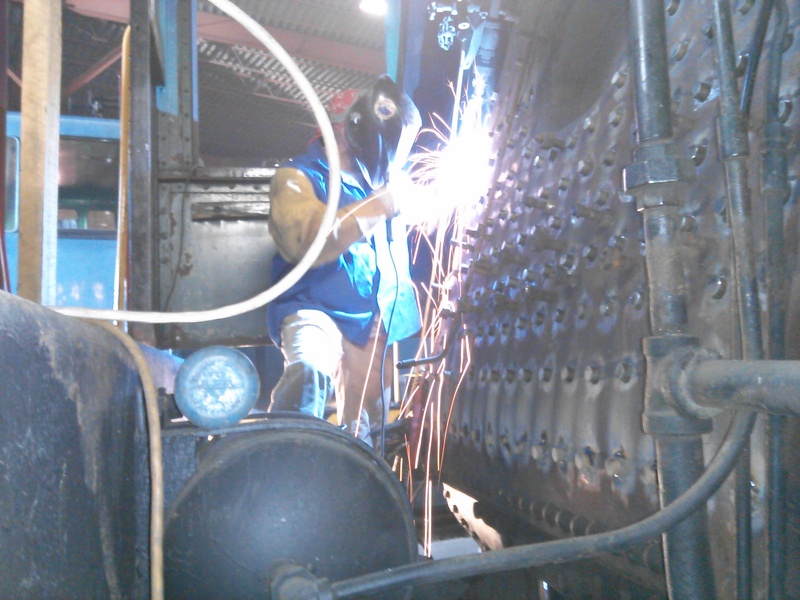 10/22/15 Wrigley Mechanical welder working on back of boiler stay bolts. 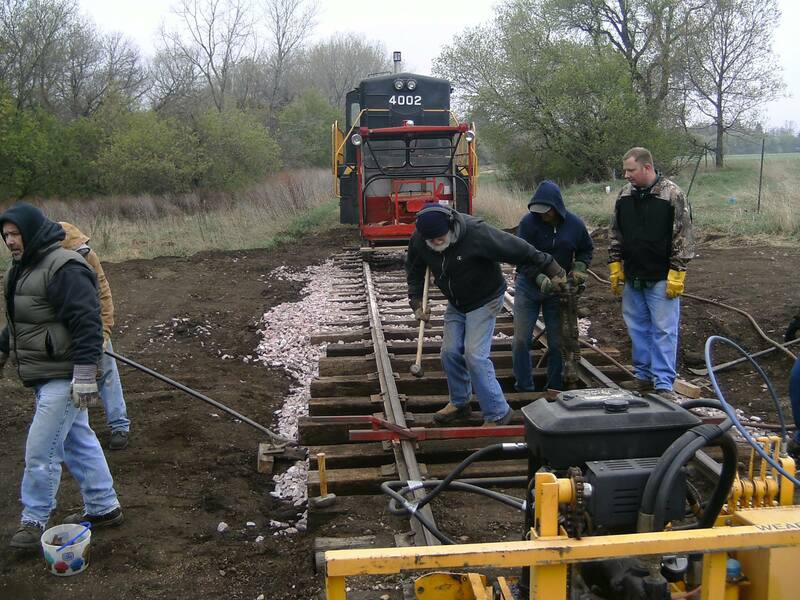 10/24/2015 Big tamper with no engine goes on trailer for new engine over winter. 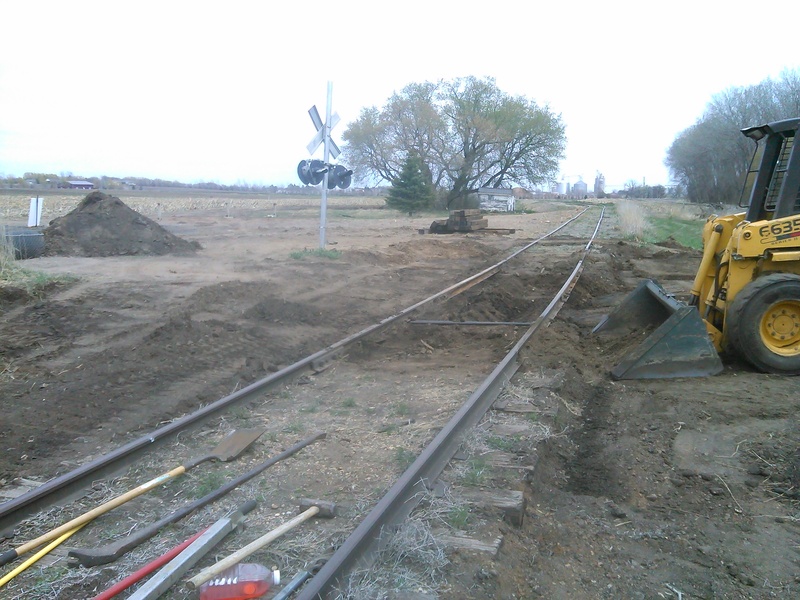 11/01/15 New ties and ballast south west by pulling rail sections. 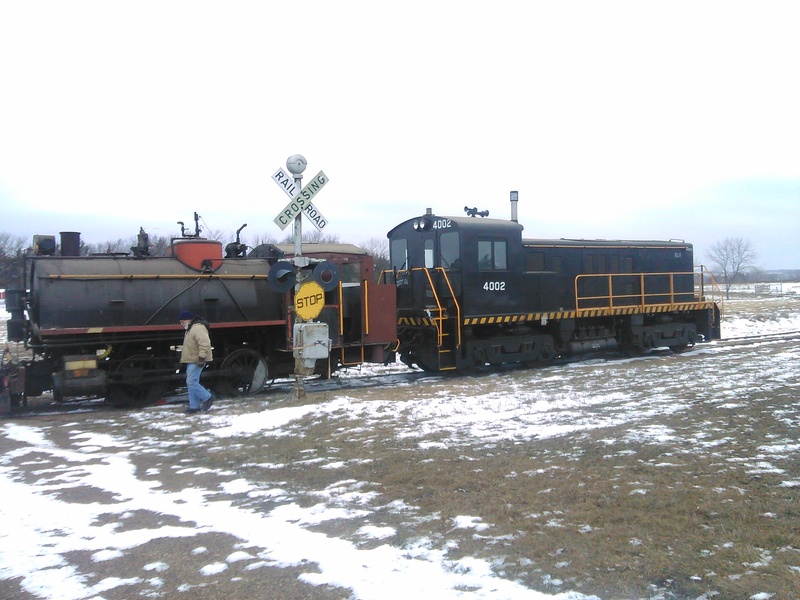 12/24/15 Bill Nolan walks around #11 after pulling it with 4002 to crossing. 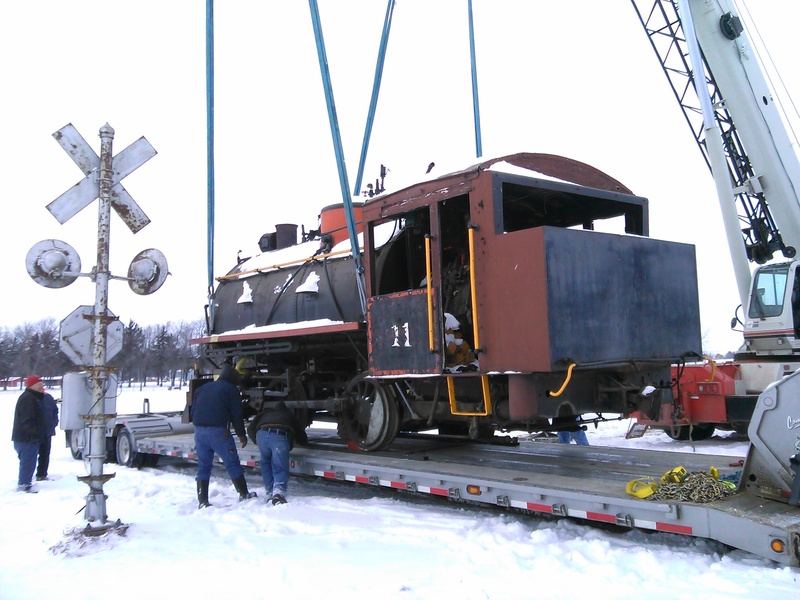 12/28/15 #11 sitting on rails waiting for loading on trailer for move to Cheyenne. 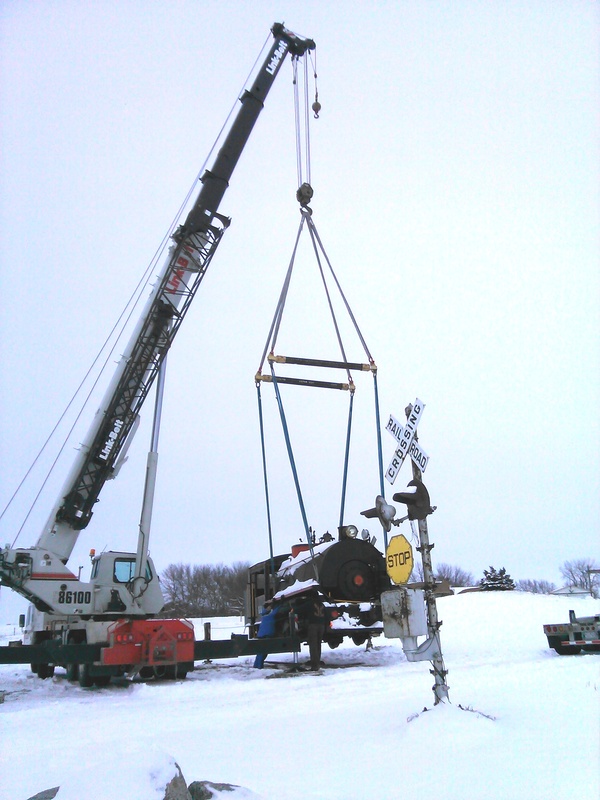 12/28/15 #11 being lifted off rail by a 100 ton capacity crane from Barnhart Crane. 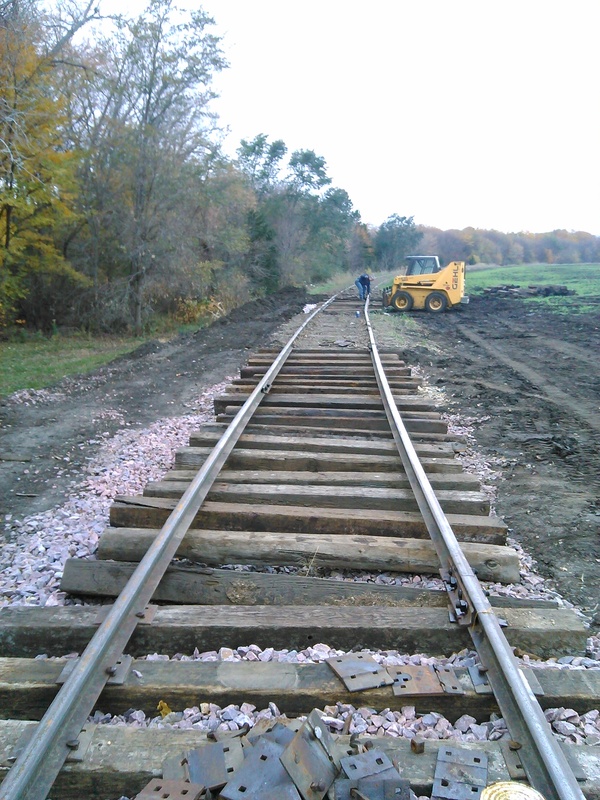 12/28/15 #11 is down on temporary tracks bolted to the semi trailer. 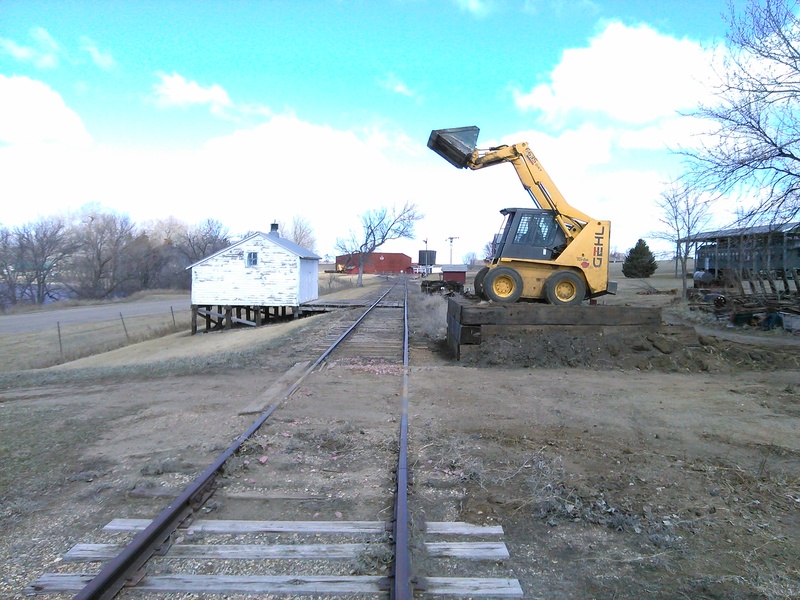 12/28/15 Crane is gone, #11 chained down for trip to shop in Cheyenne.